Comment: I would like to get an estimate for getting gutters repair they have came apart and off balance. Comment: Second floor gutter leaking from area at elbow or joint from roof to downspout. Comment: Simple, quick, first floor only. Back of the house is a straight 54' shot. Downspouts needed on each end, sloped from the middle. Looking for seamless aluminium. May be open to the front of the house as well. 2 sections, first floor only. One 32' and the other 22'. Comment: Add gutters around perimeter of Victorian single-family home. Comment: Heavy flow rates where roofs come together requires installation of gutters & downspouts. Kennebunkport Gutter Cleaning & Repair Services are rated 4.67 out of 5 based on 319 reviews of 7 pros. 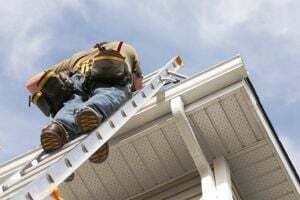 Not Looking for Gutters Contractors in Kennebunkport, ME?